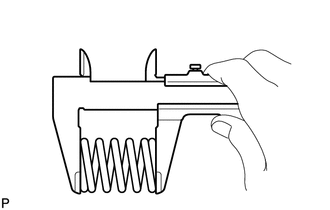 (a) Using a vernier caliper, measure the free length of the compression springs. (d) Install the front exhaust pipe assembly to the exhaust manifold converter sub-assembly with the 2 bolts and 2 compression springs. (e) Connect the heated oxygen sensor connector. 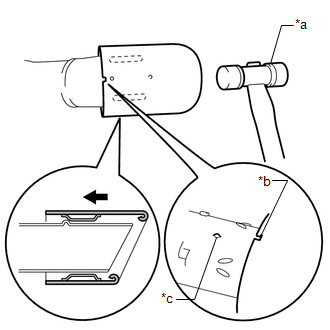 (a) Install a new gasket to the center exhaust pipe assembly. (b) Connect the center exhaust pipe assembly to the 2 exhaust pipe supports. 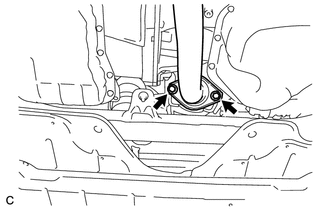 (c) Install the center exhaust pipe assembly to the front exhaust pipe assembly with the 2 bolts. 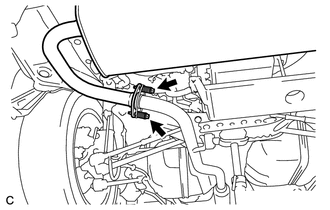 (b) Temporarily install a new gasket to the center exhaust pipe assembly. (c) Using a plastic hammer and wooden block, tap in the gasket until its surface is flush with the center exhaust pipe assembly. (d) Connect the tail exhaust pipe assembly to the 4 exhaust pipe supports. 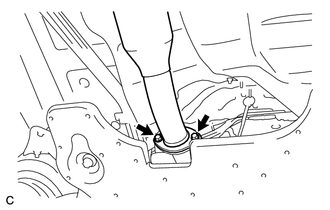 (e) Install the tail exhaust pipe assembly to the center exhaust pipe assembly with the 2 bolts and 2 compression springs. 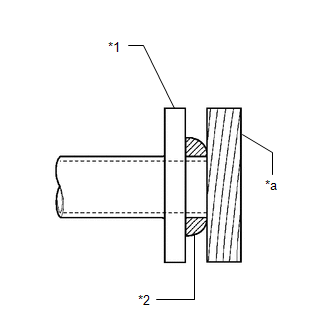 (a) Align the cutout of the tail exhaust pipe baffle sub-assembly with the protrusion of the tail exhaust pipe assembly as shown in the illustration. (b) Using a plastic hammer, uniformly tap the tail exhaust pipe baffle sub-assembly onto the tail exhaust pipe assembly. (a) Perform "Inspection After Repair" after repairing an exhaust gas leak (See page ).